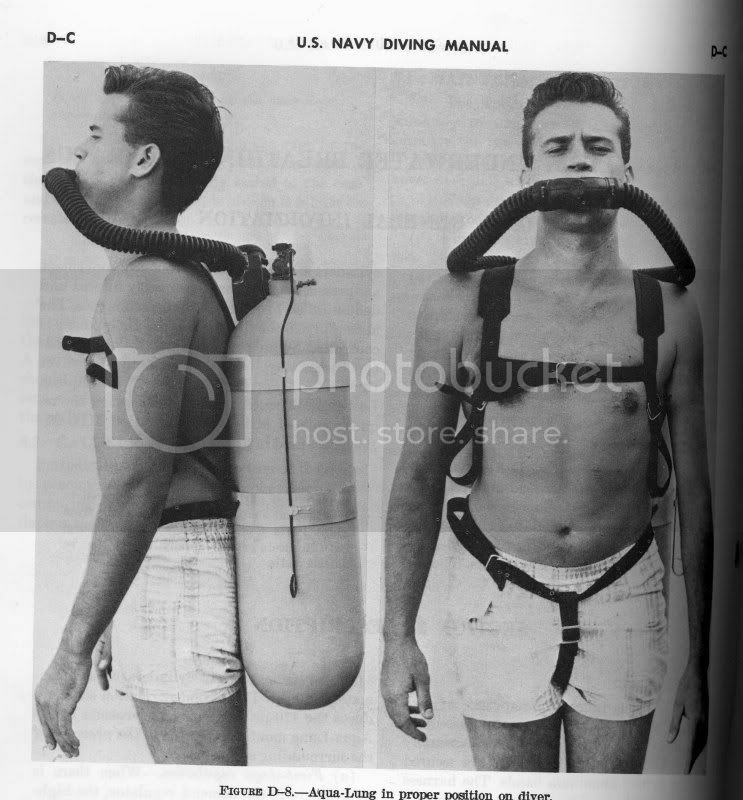 Note that the mouthpiece is balanced, that is that it places no pressure on the diver's mouth is he holds it in position. The way to check that is to put the mouthpiece above the regulator in approximately the position you would bite on it (about six inches above the regulator, and a foot in front), and it should balance on the tip of one finger, right in the center of the mouthpiece with the inhalation part pointed horizontally toward your mouth. Alternatively, you can put the regulator face-down on a flat surface, and the mouthpiece should point directly back at the regulator's box. If it fails either of these tests, you need to loosen the clamps, and reposition the hoses on the mouthpiece so that the balance is maintained. For a snorkle, it needs to be adjusted on the mask so that it is just long enough to easily reach the mouth, and the mouthpiece again should point directly into your mouth. If it doesn't, then the tubes need to be twisted (break the glue seal, and twist the curved tube to the proper position, then re-glue with neoprene cement). Or, if that cannot happen, then you need to get a different snorkel that fits your head better (that has happened to me). 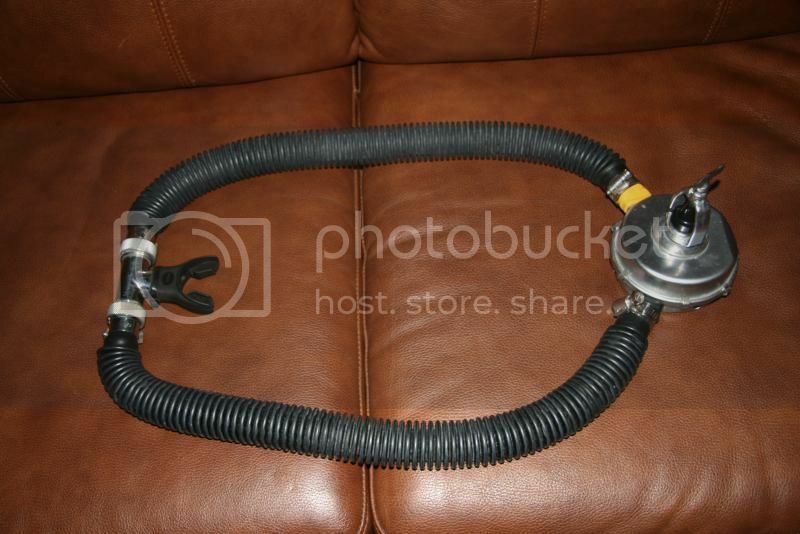 I like the Dacor flex-hose snorkel because it goes into whatever shape I want it to. Now, if you don't mind, I'd like to talk about this on the thread too, but not in the context of your situation. Maybe even a new thread talking about adjusting mouthpieces would be appropriate.